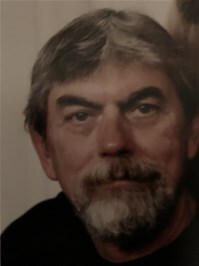 BUNN – Theodore Michael “Mike” Sviontek, earned his angel wings on Sunday morning January 13th at his home in Bunn, NC. Mike will be lovingly remembered as a devoted husband and family man (including his Harley Davidson family). Mike’s family-first approach to life was perhaps no more evident than his love and devotion to his four grandchildren, Tyler and Austin Wells, John and Michael Stehman. “Pop Pop” as they called him, made every sporting and school event, vacations and holidays to be with his family and his “boys”. Mike was also an avid Harley biker. When Mike wasn’t working or with family, you could find Mike on his bike. He joined in dozens of charity rides throughout the years and was the quintessential “free bird” when riding with his buddies. There is no doubt that Mike is now cruising the winding roads of heaven. Mike was a son of the late Theodore and Theresa W. Sviontek. Mike is survived by his wife and best friend of 52 years, Rosemary Sviontek; daughters and son-in-law, Michelle Stehman of Raleigh; Sandy and Jamie Wells of Moseley, VA; sister and brother-in-law, Anne Marie and Tom Murphy of West Palm Beach, FL. ; brother and sister-in-law, Steve and Kim Sviontek of Wrentham, MA; grandchildren, Tyler Wells, Austin Wells, John Stehman and Michael Stehman. A memorial service will be held 3 p.m. Saturday, January 19th in the chapel of Strickland Funeral Home. The family will receive friends immediately following the service. In lieu of flowers, the family is suggesting contributions to the American Heart Association, 4217 Park Place Court, Glen Allen, VA 23060-9979.